This jute creative surface has a bohemian feel that is both delicate and rugged. Play with texture, textiles or buttons onto the surface or stencil a silhouette inspired by nature. Whether the next conversation piece in your home or an experiment in your studio, artists and DIY makers alike will enjoy this unique surface. 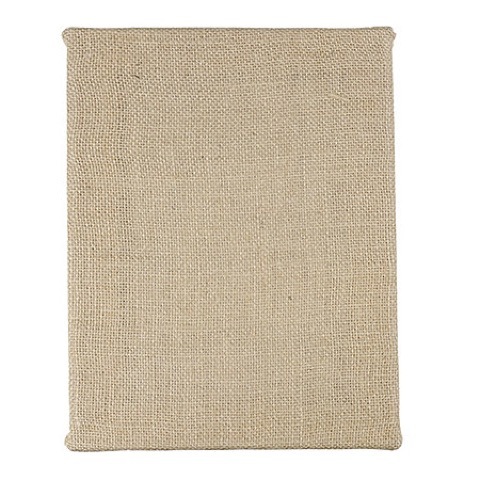 This canvas has a solid wooden frame with a ¾" depth.